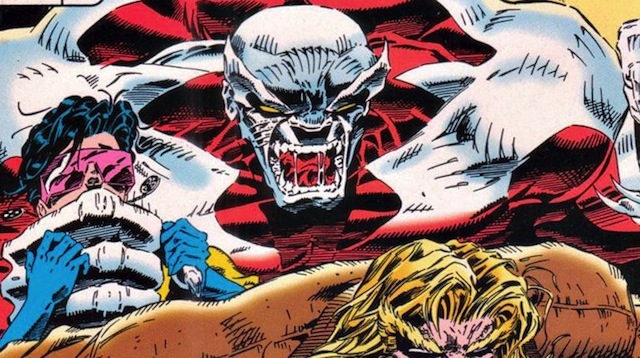 Bryan Singer Teases Caliban in X-Men: Apocalypse! It seems that the world of Bryan Singer’s upcoming mutant ensemble, X-Men: Apocalypse, is getting bigger and bigger every day. In his latest behind-the-scenes Instagram tease, Singer has revealed that the mutant Caliban will part of the 2016 release! Although the Morlock isn’t pictured, you can check out his underground home in the photo below! Caliban, created by Chris Claremont and Dave Cockrum, made his first appearance in 1981’s “Uncanny X-Men” #148. An albino mutant, Caliban has a mutant tracking ability that made Callisto, the leader of the Morlocks (a civilization of mutants that have chosen to live underground), seek him out. He was later augmented by Apocalypse, becoming one of En Sabah Nur’s horsemen. It’s a pretty safe bet that we’ll something similar unfold when Caliban hits the big screen on May 27, 2016. It’s also quite possible that Caliban’s role as a Morlock will have a connection to 20th Century Fox’s upcoming Deadpool. That film is slated to have a Morlock character as well in the form of Gina Carano’s Angel Dust. Michael Fassbender, James McAvoy, Jennifer Lawrence, and Nicholas Hoult are set to lead the cast of X-Men: Apocalypse, which will also see the return of Rose Byrne as Moira MacTaggert, Evan Peters as Quicksilver, Lucas Till as Havok and newcomers Alexandra Shipp as Storm, Sophie Turner Jean Grey, Ben Hardy as Angel, Tye Sheridan as Cyclops, Olivia Munn as Psylocke and Lana Condor as Jubilee. Oscar Isaac is also starring as the film’s title antagonist with Simon Kinberg scripting from a treatment by Mike Dougherty, Dan Harris and Kinberg. Said to be the conclusion of a trilogy started with X-Men: First Class and continued with X-Men: Days of Future Past, the Bryan Singer directed X-Men: Apocalypse is set for release on May 27, 2016.